Your kids will love this playground set! 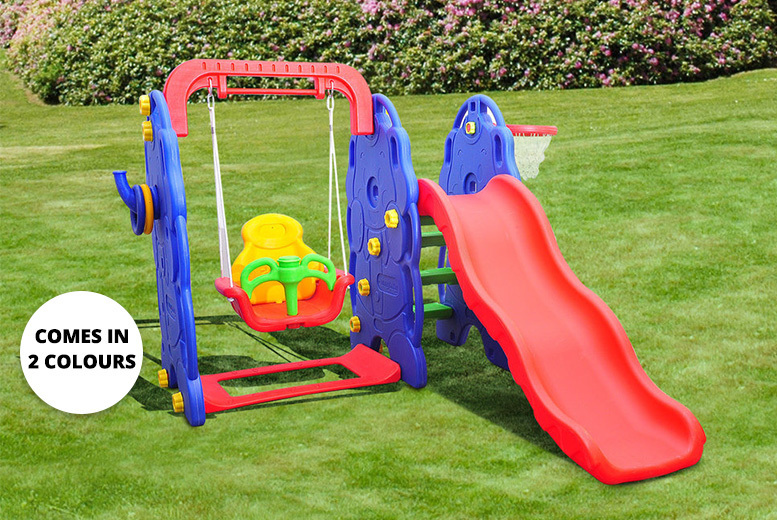 Includes a swing, slide and basketball hoop (ball not included). Perfect for home or garden use! Measures 167cm x 164cm x 120cm.